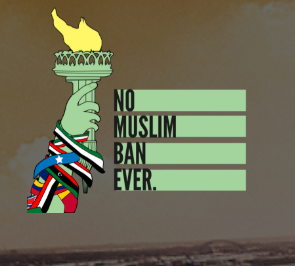 (HOUSTON, TX 6/13/18) – The Houston chapter of the Council on American-Islamic Relations (CAIR), the nation’s largest Muslim civil rights and advocacy organization, will hold a news conference to offer reaction to the anticipated U.S. Supreme Court decision on the legality of the Trump administration’s “Muslim Ban 3.0” when it is announced. That decision is expected as early as 10 a.m. EDT tomorrow, Thursday, June 14, or may be handed down on Monday, June 18, or later Thursdays or Mondays in June. CAIR-Houston will hold a news conference an hour after the decision is announced at its offices on 5445 Almeda Rd, Houston TX, 77004 on whatever day the court’s Muslim Ban decision is announced.